Strawberry Swing and other things: GAP Cash Picks! Okay, so I have some GAPCASH to spend, but with most of my holiday shopping done I don't want to be tempted to add to the BabyGAP bill anymore for the season. 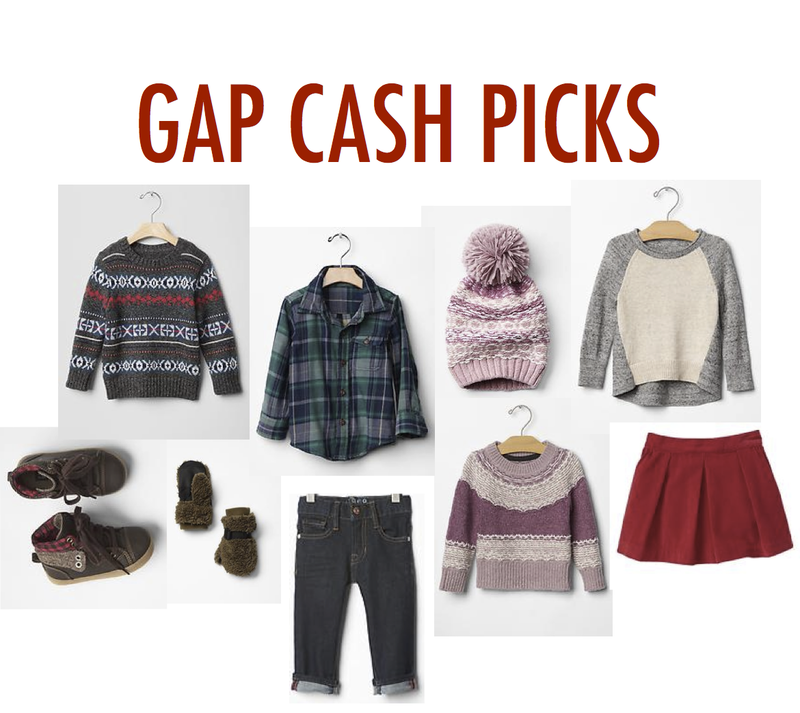 I'm happy to giveaway my Gap Cash code, $25 dollars off for $50 spent on regular priced items. Please email me at ehayes1183@gmail.com, first response will receive the code. However, I still have a handful of picks and items I'm loving, but know we don't need at this time. Oh and I included some favorites for boys too! I scored big with my GapCash yesterday! The entire store was buy two items, get one free, so I bought three pairs of PJS ($59ish each), got one pair free, and then after the gapcash only spent about $70 total! I was so excited! CUTE Picks!! I am a Baby Gap junkie, too. It's a sad addiction, but true, oh so true.. I have a whole cart of Gap items waiting to buy. I keep changing my mind and cannot quite committ. The girls still need Christmas Mass dresses and Christmas day outfits and Christmas jams. We are SO behind this year with our shopping. I love seeing your girls decked out in their finest!